As family therapists, supervisors, colleagues and citizens we are shaped by the following contexts: time and space, values and beliefs, social policy, communities and organizations, interpersonal relationships, and our individual embodied experience. What shape are we taking as a result of these transactional contexts rooted in lack and criticism? How are we showing up for others and ourselves as these contexts shift in ways that are disturbing as well as delightful? This co-created workshop will acknowledge strengths, stressors, and opportunities to grow across contexts while exploring how to move from reactive strategies to responsive practices. These practices address dilemmas that arise in our relationship to the world around us, others, and ourselves. Specifically, videotapes, dialogue, mindfulness, embodied, visual and performing arts practices will illustrate concepts, identify stressors and resources, pivot from focusing on limitation to possibility, invite participants to explore embodied awareness and action as a means of promoting social justice. 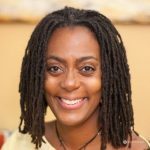 Melba J. Nicholson Sullivan, PhD, is Freedom Facilitator, psychologist and faculty member at the US Citizenship and Immigration Service-Refugee Asylum-International Operations. Melba is also a stress and resilience counselor at Human Rights Watch and a consultant at the Ackerman Institute. She is the former Director of Education and Training and Trauma Track Coordinator at Bellevue/NYU Program for Survivors of Torture. Dr. Sullivan is also the former Director of Community Outreach Programs at The Family Institute at Northwestern University.